Precious Pages by Paula: ANYTHING GOES WITH THE KRAZY CRAFTING CREW! Here we are in a New Year and all new projects for the hop. Today Robin Lane will be hosting from Create a Latte. With the New Year just beginning we thought "Anything Goes" would be a great way to start. Do you like paper crafts, making cookies, crocheting or making pillows? Really anything goes for more fun and inspiration for us ladies who love to bake and do other things then paper crafts! Today I have prepared a card for you. 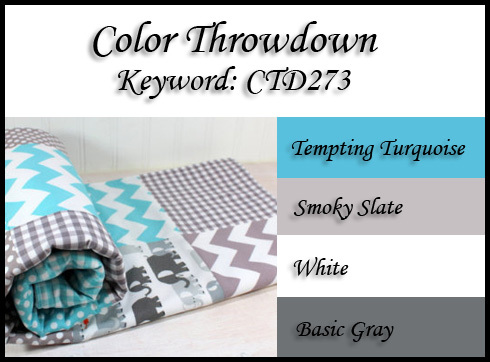 I used the Color Palette from Color Throwdown CTD273. 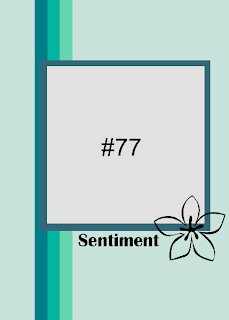 and the Get Well theme #175 from 4 Crafty Chicks. Help us by making our teams resolution to gain followers and do a fantastic job for you that won't disappoint. We have a hop every first Sunday of the month, and we will bring some kind of inspiring project with us! Blog lovin' can also win you some blog candy! Here is the blog candy you can win from Robin Lane from Create a Latte. It's a Hello Kitty Smash Book Kit. Your next stop will be with Liz. Here is your line up just in case you want to navigate back through! Very nice, love the color choices too! Love the colors and glitter! Great card...really like the all the glitter. Pretty card - love the sparkle. Great combination of the challenges! This would make me feel better! Thanks so much for joining us at the Color Throwdown! Pretty card - love that color combination!! What a GORGEOUS card! The colors are beautiful together, and I LOVE all the glitter! Love your card! the colors work so well together. Lots of glitter and great colours! Love the card so sparkly should brighten anyone's day!! Great card and I really like how you used three different themes and pulled it all together in one project! I should try to be that organized when crafting! I love how glittery your card is... if it doesn't cheer someone up I don't know what will. Thanks so much for sharing. Awesome card. Congrats having it fit so many challenges. Thanks for sharing. what a super sparkly card!!! Cute card. Love the glitter. Beautiful card, I love all of the glitter. Thank you for sharing. Great card, is fitting for a few occasions! Love your glittery paper and the colors you used as well as the sketch. Thank you so much for sharing your amazing creation with us at 4 Crafty Chicks! It is wonderful inspiration. I love it!!! 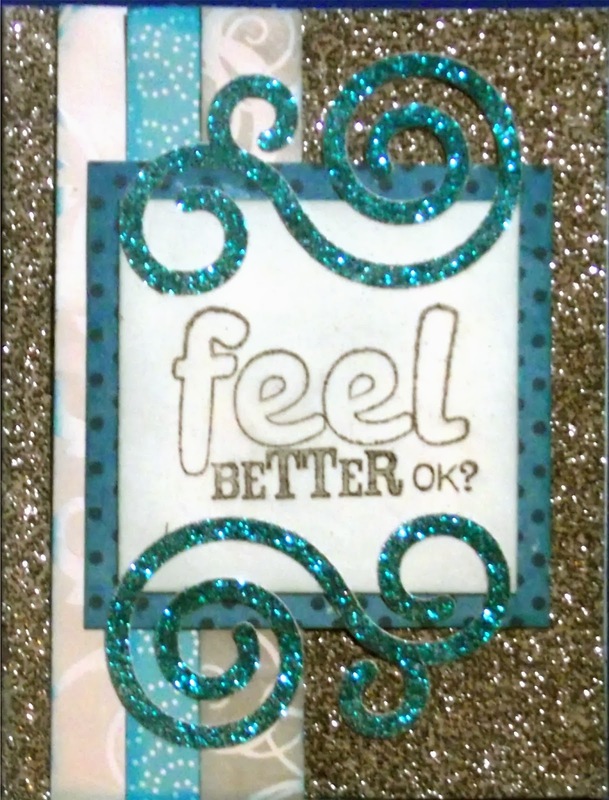 What a great card to help someone feel better! I really enjoy see this blog. Your cards are so beautiful. Congratulations on DT. Please stay in touch. A lovely blingy card...now this will make anyone feel better Paula. I love it! Thank you for playing along at Feeling Sketchy with us. I love glitter and I love turquoise ! Great card !